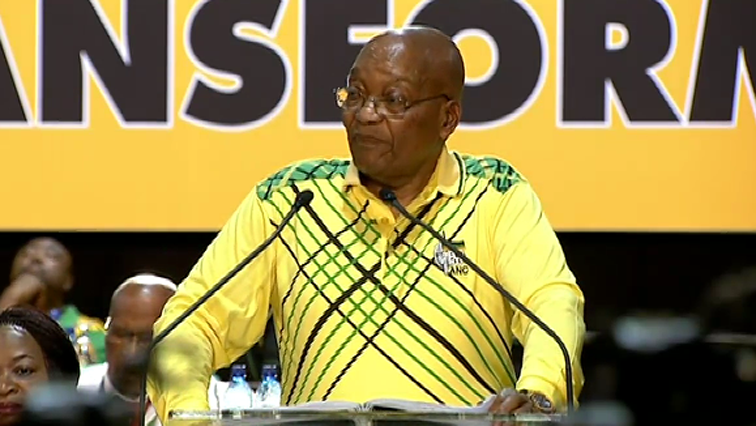 Cosatu reiterates calls for Jacob Zuma to step down - SABC News - Breaking news, special reports, world, business, sport coverage of all South African current events. Africa's news leader. The Congress of South African Trade Unions (Cosatu) has repeated its calls for President Jacob Zuma to step down. The federation’s secretary general Bheki Ntshalintshali reiterated the call during an event to mark the 23rd anniversary of the passing of Communist Party leader Joe Slovo in Soweto. He called on the African National Congress (ANC) to pay special attention to the two centers of power that have been created following Cyril Ramaphosa’s election as party president last month. Ntshalintshali’s comment comes after ANC National Chairperson Gwede Mantashe on Friday dismissed any notion of the governing party recalling President Jacob Zuma as head of state. This follows reports that fresh attempts are under way to remove Zuma from office. “…Weakness of the last two three years has been a personification of politics. We must talk ANC and as we analyze the ANC there is nothing called a no go area. And I want comrades to disabuse themselves from abusing Zuma for their own purpose because it is dangerous for the movement, it hurts comrade Zuma,” said Mantashe. Speaking at a wreath-laying ceremony in Wattville, east of Johannesburg, for late ANC president Oliver Tambo. Mantashe also called on the governing party’s newly elected Top Six leadership to work together and unite the party. Three of the new Top Six elected last month, including Mantashe, were perceived as supporters of new ANC president Cyril Ramaphosa and the other three as backers of Nkosazana Dlamini-Zuma, whom Rampahosa edged out in the race for the top party post. The wreath-laying ceremony for Tambo was Mantashe’s first public appearance since taking over as the party’s national chairperson after serving two terms as its secretary general. He acknowledges that the party was fractured by bitter leadership struggles in the build to it’s 54th national congress last month. Mantashe has also lashed out at internal party weakness. These include the Youth League that is entangled in factional politics, and the ANC that appears to be synonymous with corruption. He called on leaders to emulate Oliver Tambo by remaining selfless servants of the people. This entry was posted on 06 Jan 2018,04:02PM at 4:02 PM and is filed under Politics, Homepage Featured Story Slider. You can follow any responses to this entry through the RSS 2.0 feed. Both comments and pings are currently closed.